PNNL's Energy Policy and Economics Team, together with PNNL's Electricity Infrastructure Group provides technical and policy support work to states, including state Public Utility Commissions around the U.S. The page features some of the projects and deliverables from that work. 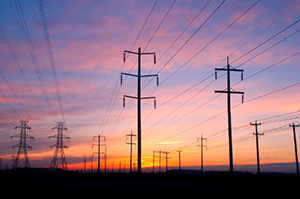 This work is being completed through the Grid Modernization Laboratory Consortium (GMLC), a strategic partnership between the U.S. Department of Energy (DOE) and the national laboratories to bring together leading experts, technologies, and resources to collaborate on the goal of modernizing the nation's grid. GMLC is a joint effort between DOE's Office of Electricity Delivery and Energy Reliability and the Office of Energy Efficiency and Renewable Energy. PNNL provided support to the Idaho Public Utilities Commission (IPUC) on issues associated with distributed generation rate design, cost-benefit analysis and net metering. The IPUC staff requested technical assistance to improve their understanding of the emerging, complex, and consequential issues around distributed energy resource rate design to help the staff achieve its goal of making a fair, just, and reasonable rate design recommendation with respect to Order NO. 34147 in IPUC Case No. IPC-E-17-13. Three white papers were developed for the Illinois Commerce Commission on issues associated with a distributed generation rebate required under the Future Energy Jobs Act, which was passed by the Illinois State Legislature in 2016. An ICC website with a summary of all whitepapers, presentations and stakeholder comments is here. PNNL provided support to the New Mexico Public Regulation Commission (NM PRC) on issues associated with distributed generation and fixed cost recovery relative to a New Mexico statute (62-13-13.2) that allows investor-owned utilities to recover costs of "standby and ancillary services", or "services that are essential to maintain electric system reliability", resulting from interconnecting distributed generation customers. A PNNL report titled "Cost Recovery for Standby and Ancillary Services for Distributed Generation" was developed for the NM PRC. PNNL worked together with Lawrence Berkeley National Laboratory to provide support to the Oregon Public Utility Commission on distribution system planning. A report was developed that summarizes state activities in distribution system planning around the country, categorized by topic. A webinar was also provided on the report. Presentation materials and a recording of the webinar are available here. PNNL developed a memo for the Hawaii Public Utility Commission (HPUC) in support of their Market Track of a distributed energy resources (DER) proceeding 2014-0192. The memo, Market Track Considerations, recommends approaches and processes, and provides examples, to guide the HPUC as they move beyond customer grid supply and customer self-supply tariff options into the market track of their DER proceeding.